Why would they lie to you? For me, an amusing part of the Christmas run-in was, and is always, the explosion of perfume adverts. Basically if you have no idea of what’s going on but there is a montage of an attractive man/woman jumping off a cliff or clicking their fingers in a suit, you’re probably watching a perfume advert. How do you sell a smell via the visual and acoustic medium of television? Link it to having an exciting, racy life where you can be transformed into James Bond or a femme fatale. Of course, no-one actually believes buying that perfume will change their lives, but on a subconscious level it makes the product appealing: you associate it with adventure and glamour. Does Lionel Messi really love Pepsi? Doubt it, since a drink like that is not exactly conducive to peak athletic performance. But linking him to it makes it more appealing, even if it doesn’t claim that Pepsi has made him as good as he is. Fitness marketing goes even further than this. They pair up their products with sportspeople and fitness models, with the explicit connection that these products equal these results. In fact, you have no idea if the athlete has ever been anywhere near the stuff. Most likely, it plays basically no part in their fitness or work-out regime. If you don’t believe me, watch the clip below from the documentary called Bigger, Stronger, Faster by Christopher Bell, an exposé of the fitness industry, pro sports and their propaganda in the name of profits. (Click here for the full documentary, I really encourage you to watch it). So straight from the horses mouth: their results are from the use of steroids, not some powder. Because just like the perfume ads, they want to sell you an ideal. Except that while no-one expects to be gliding around the Eiffel Tower looking good because of a spray of liquid, you are led to believe that taking a supplement will help you look like the model that is posing with it. Steroids have a terrible public image, not to mention being illegal in many countries. That’s one of the reasons why people who are obviously on something will protest to the death of their ‘natural’ status: they know if they actually admit it, their public image will plummet, along with any marketability and money-making opportunities. How do you know that someone could be lying about being on steroids? Do they depend on their body for a living? If they check off both, then it can never really be ruled out that they have never or are not using something. Let’s be honest, there are plenty of ‘T-shirt muscles’ average joe’s who use steroids, with the only gain of being the biggest douchebag in a 5 mile radius. If your body is your living, then you’re gonna do what it takes to make it the best. The problem with steroids is that they do work. They work very well indeed. There are numerous studies that have been done to show this but if you want an irrefutable demonstration of how powerful they are, just look at the physical differences between men and women. As anyone with secondary school biology knows, the size, strength and physical advantages that men have are down to hormones. Men have on average around 15 to 20 times the level of testosterone to women. Steroids can take many forms but one of the simplest ways in which to get bigger and stronger is to increase your testosterone level, by injecting yourself with a synthetic form. This is why female bodybuilders look more and more like men over time when they use steroids. So if a hormone is powerful enough to actually turn a woman into a man, imagine the effect it has on a man who already has a high level of test! Incredible levels of muscle, leanness, strength. Head-turning levels. If you’re a fitness model, YouTube fitness celebrity, or aspiring professional sportsperson you therefore have a problem if others are ‘juicing’ but you are not. You’re never going to look or perform as well as them naturally, no matter how hard you work. You won’t win, and you won’t stand out. In short, you won’t make any money. As Lance Armstrong so emphatically demonstrated, drugs testing proves nothing. Despite running what is now called an “industrial-scale” doping system he never actually tested positive: former teammates, who were also doping, eventually turned him in in return for more lenient sentences of their own. Marion Jones, the gold-medal winning American athlete was ‘clean’ according to drugs tests; she was only caught when the owner of the company that supplied her with drugs was investigated and incriminating documents came to light. For an in-depth article of how easy it is to get around testing, click here. So basically if you want to work in fitness advertising and sell product on the basis of your results, you don’t really have a choice but to hop on the juice. You can’t compete otherwise. It is at the point where people really believe that it is possible to be 7% body fat all-year round whilst being 200 lbs of muscle, bench-pressing 405 lbs (180 kgs) while just taking protein powder and pre-workout. Look at these two, a well-known YouTube fitness celebrity and a professional fitness model. They both swear they are fully natural. They both rely on their bodies for a living. They both have a large following who will buy their products and support them because they believe they epitomise where hard work and dedication can get you, all natural. Why would they lie about taking steroids? Because otherwise, they don’t make money. It might seem like I’m being overly cynical here or that I have a massive grievance against steroids in general. I don’t: I actually think that the decision to do steroids is a personal choice, and one that has to be made if you want to get to the top of a sport. The concept of fairness is never, and has never really been a part of sports. The idea that everyone is on a level playing field while the dopers are cheating them all is crazy- no-one starts on a level playing field in life, be it your genetics, your upbringing, what country you were born in, what opportunities you had. As Bigger, Stronger, Faster mentions, what is the difference between an athlete sleeping in a hyperbaric chamber or attending a high altitude training camp to one injecting EPO? Those three methods all help to increase endurance and recovery, but only one of those methods is called cheating. What about the talented athlete from a poor country that can’t afford expensive training camps abroad? Too bad. What about the athletes who were born and grew up at altitude? Should they be ineligible to compete in endurance events? If you compete at an elite level, you do what it takes to get there. Steroids are just another performance booster, just like taking ice baths or sleeping in hyperbaric chambers. In pro sports, steroids are part of the game. Related article: Is Usain Bolt clean? What I do have a problem with is people lying about their use in order to essentially scam a lot of people. 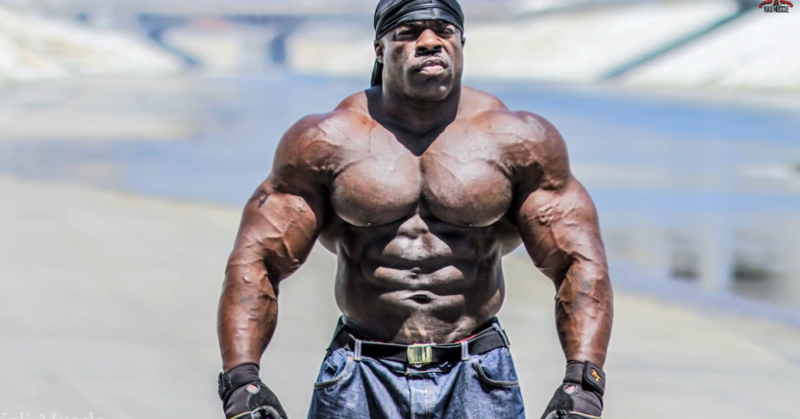 By employing steroid-using models to promote supplements or YouTube celebrities claiming natural to sell products the fitness industry is deliberately lying to sell an unachievable dream: supplements like protein powders have a miniscule effect on your training results, and they won’t get you anywhere near the performance of those using chemical and hormonal enhancement. Whey protein is the by-product of cheese production, it is not some magic potion. Your natural testosterone level is the determinant of how much muscle you can gain and maintain, you can’t exceed it through eating more food or upping your calories by drinking powders. Creatines, BCAA’s, glutamine: they all might help you, but compared to the effects of injecting test or using drugs it is like going to a fight with a swiss army knife when your opponent has an Apache helicopter. Imagine you have no idea how to make bread, but you really want to make it like it looks in the pictures. Imagine someone selling you the recipe for making bread but leaving out flour on the ingredients list: you wonder why your bread doesn’t turn out right and they tell you you just need more yeast, so they sell you more. You add it: it still doesn’t look like it does in the pictures, so they tell you actually something is wrong in your process. You check your processes and do everything as proscribed to the letter, but you still don’t have bread! That, in a nutshell, is how it works. This is why I started The Training Template. Let’s open our eyes and do it properly, healthily and for the long-term, without wasting our time and money. If you enjoyed this article, subscribe below to recieve a free monthly nrewsletter and first updates of news and upcoming offers!